This week, I'll be in Toulouse, the aerospace city. Wednesday (June 22), we will start the Obeo Designer Roadshow, a serie of six steps in six different cities (Toulouse, Brest, Nantes, Paris, Niort and Lille). Each step of this roadshow will be organized in two parts: the morning will be dedicated to a presentation of the version 5.0 of Obeo Designer, presentations of case-studies by users and a panel to discuss about graphical DSLs. The afternoon will be more technical with Hands-On sessions: we have asked to each person to come with a case, and we will help them to implement their own graphical designer during the afternoon. In Toulouse, the case-studies will be presented by Pascal Roques of PRFC and Tristan Faure of Atos Origin. Thursday (June 23), I will attend Eclipse Party (the Indigo Demo Camp) and give a talk about JavaEE code generation with EEF and Acceleo. This Demo Camp, will be very intensive with two tracks and a lot of interesting talks (Topcased, Koneki, Closure, Birt, RCP, eGit, SWTBot, e4, etc). There will also be a specific session about feedback from EclipseCon 2011 (XText, Orion, CDT, Tycho). 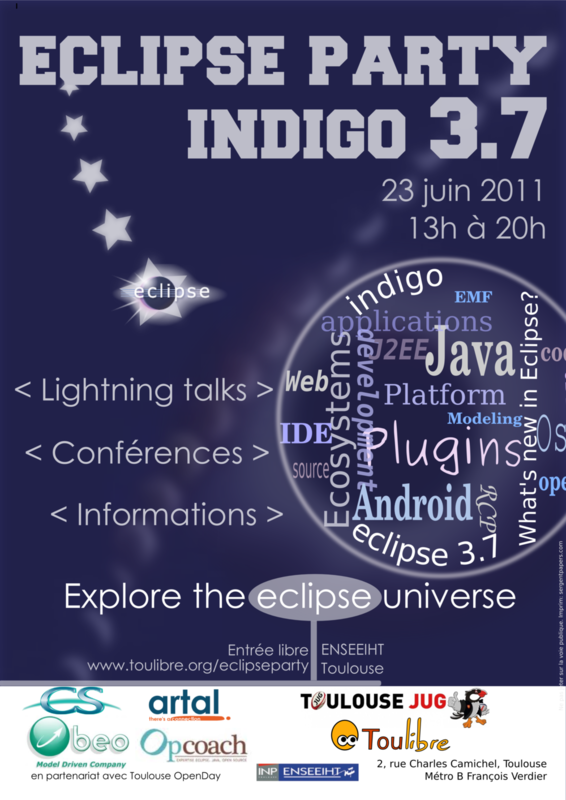 Finally, it will end with a panel about Eclipse and its ecosystem, animated by Gaël Blondelle of Obeo. Nice post. There are many sub-types of environmental site assessment phase 1 such as Limited Phase I, SBA Phase I, Freddie Mac/Fannie Mae Phase I, HUD Phase I etc. We do all these at a reasonable cost with experienced manpower. So do it with us before buying your property.